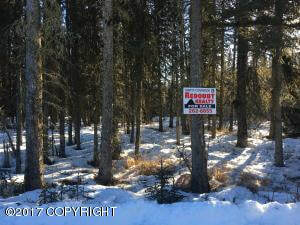 DESCRIPTION: Nicely treed, level 1+ acre building lot off south K-Beach. Just a couple miles away from Kasilof River Beach access. Come find peace and serenity! DRIVING DIRECTIONS: From Soldotna/Kenai, south to Mile 2.5 K-Beach. Left on Sydney Ann Ave; Right on Constellation; Left on Beaver Brook. Property on corner of Kit Ct and Beaver Brook. See signs.